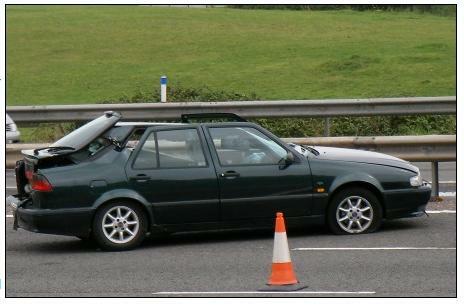 These were the scenes on the M5 motorway on Saturday afternoon (September 29th) after a serious accident closed the northbound carriageway between Burnham-On-Sea and Bridgwater. 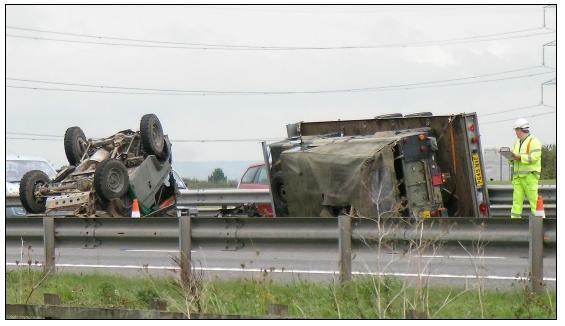 Traffic was diverted off the M5 at junction 23 after a Land Rover towing a trailer collided with a car at 12.50pm. Police, paramedics and fire crews were quickly on the scene to help cut free one of the injured motorists from the wreckage. "Fire crews stablised the vehicles whilst paramedics attended to a female casualty," a fire spokesman told Burnham-On-Sea.com. 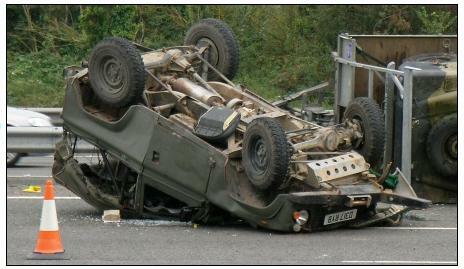 "The roof was removed to release the casualty onto a spinal board, and she was then conveyed to hospital." A police spokesman added that the female motorist was 71 years old and had suffered "head injuries that were not believed to be life-threatening." One lane of the northbound motorway was re-opened mid-afternoon but motorists still faced delays of 50 minutes by 4pm. There was also heavy traffic through Highbridge as traffic used the alternative route along the A38. Fire crews from Bridgwater attended the scene, together with a fire tescue tender from Taunton. 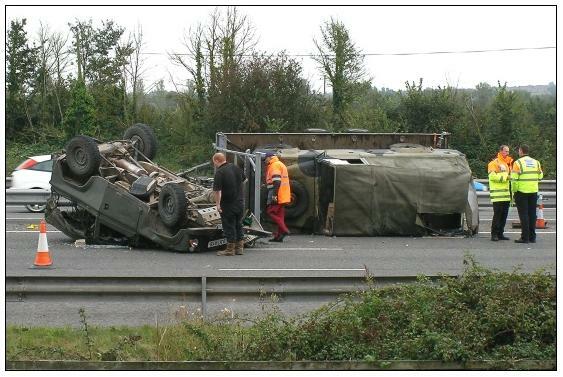 Police have appealed for anyone who witnessed the accident to contact Crimestoppers on 0800 555 111.